A Dole Whip A Day: Disneyland Fast Facts VOLUME 4! Disneyland Fast Facts VOLUME 4! While waiting for the parade on our last Disneyland trip, we noticed a new sign in front on Small World - it digitally displays the wait time and also has eyes that open and close. We asked a Cast Member about it and got some great details! The sign got its nickname (D'Alfonsa) after the Cast Member's manager! 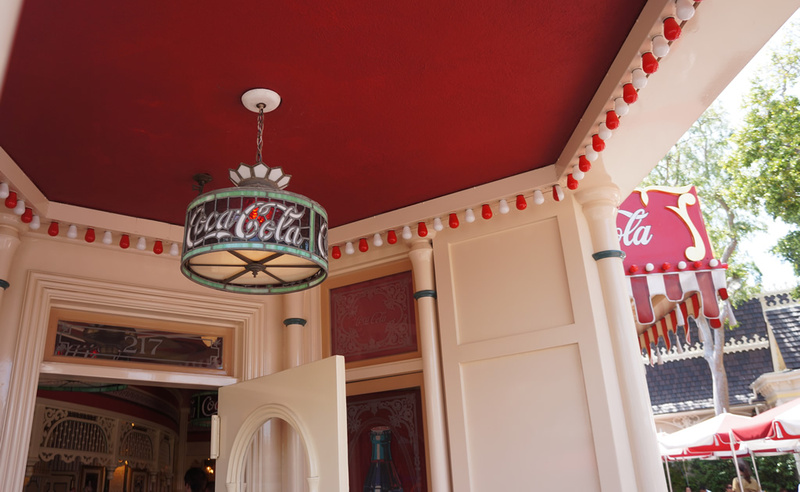 Next time you're at the Refreshment Corner on Main Street, take a look at the alternating red and white lightbulbs in the entrance and you'll find a bulb that's half red and half white! The story goes that when they were originally installing the lights, they realized that there were an odd number, so the pattern couldn't be completed perfectly, so having this half and half bulb was Walt Disney's solution! Can you spot it in the picture? 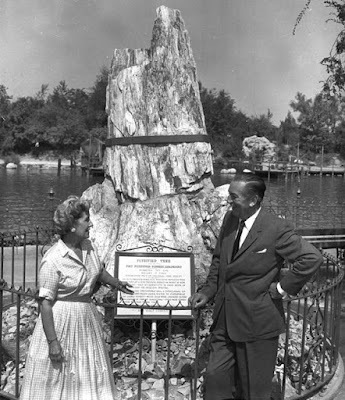 Most people have heard the first part of this story...Walt Disney gave his wife Lillian the Petrified Tree Stump as an anniversary gift, but it was "too big to fit on the mantle" so she donated it to Disneyland. 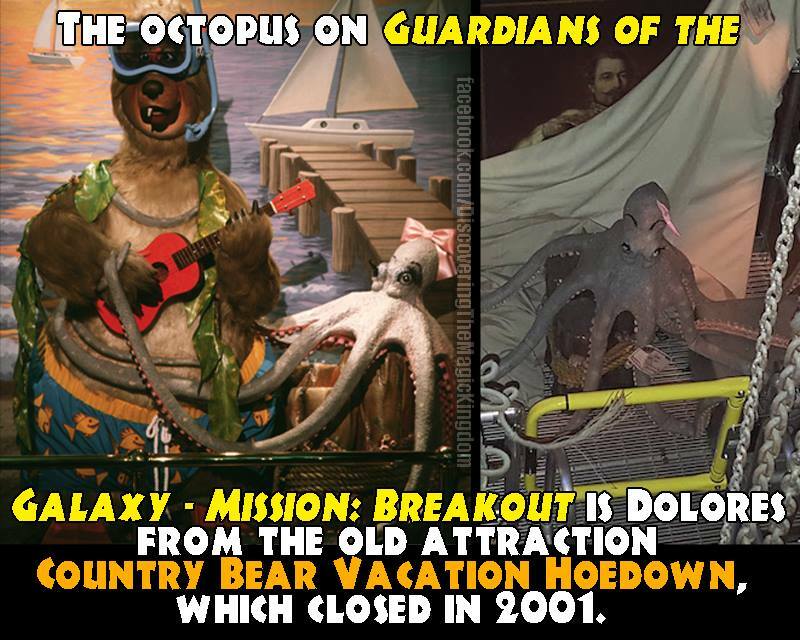 But, according to the Disneyland History Institute, this widely circulated story is actually a joke that's been blown out of proportion! It seems Walt was always joking around and took the opportunity at the dedication of the tree to tease his wife a little. But everyone took him seriously and this story has been going around as fact for the last 60 years! Have you ridden Guardians of the Galaxy: Mission Breakout yet? 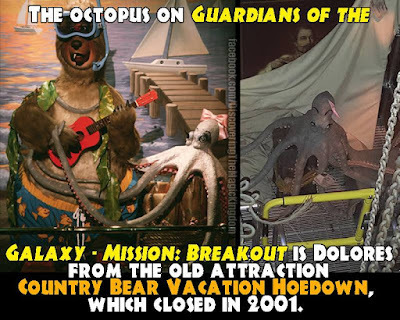 When you're in line for the ride (in the old Boiler Room) and looking through the collection, there's an octopus. But not just any octopus. Its the one that used to be part of the Country Bear Jamboree! This blue bird house popped up recently on the outside of the Haunted Mansion. While some people love it, and some people don't think it belongs, not everyone knows why its there. Its actually box used to hide a phone for the Cast Members! It was quite a surprise to be standing in line and talking about the birdhouse, then see a CM pull it open and make a phone call. We've talked about some "secret menu" items before (Ice Cream Nachos at the Golden Horseshoe and the Fun Wheel drink at the Cove Bar), but here's one I only just heard about: The "Electra"-fried Spicy Chicken Sandwich at the Carnation Cafe. 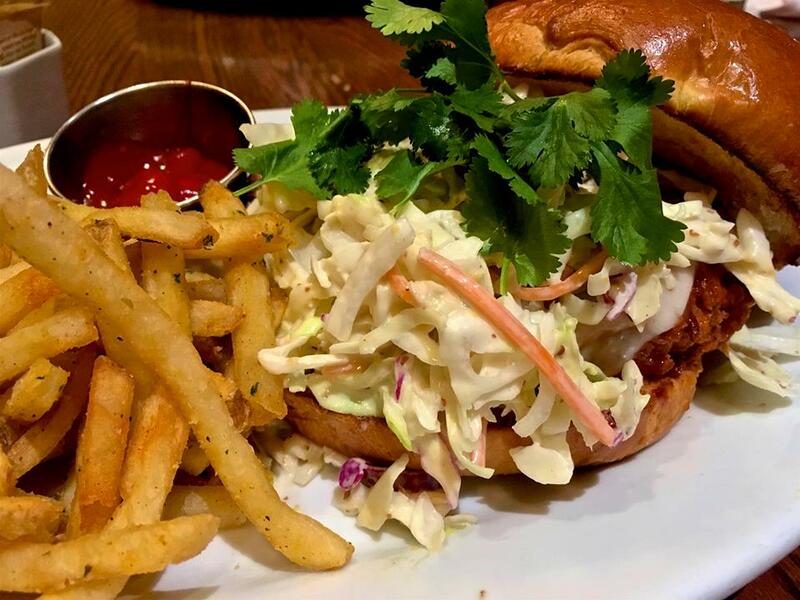 It's on my "Must Eat" list!!! 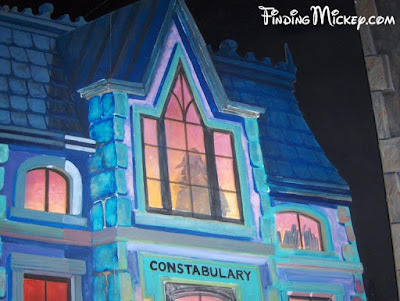 Who's Hiding in Mr. Toad? Look around in the building windows while you're Merrily on Your Way to Nowhere in Particular, and you'll find Sherlock Holmes! Its unusual to find a hidden character that isn't Disney...I love it. 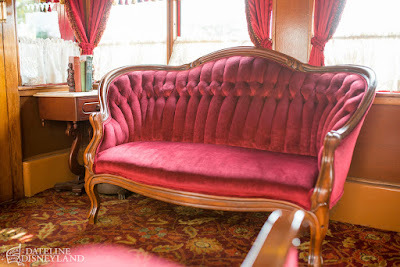 While we were checking out the Lilly Belle car of the train parked at the New Orleans Square station recently, a Cast Member shared this fun little detail! This exact couch in the pic below is Johnny Depp's favorite spot to ride. He likes to go incognito and watch people whisper about whether or not it's him. So later this summer when the train begins running again, peek on the windows of the Lilly Belle when it rolls by! 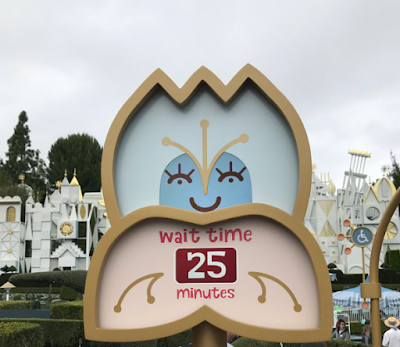 I envy you guys, at some point in my life i should visit Disneyland, i am impressed with the small sign in front on a small world with its traits to open and close eyes.